This is a clone of the Arduino Pro Mini with the ATmega328P MCU at 5V and 16MHz. 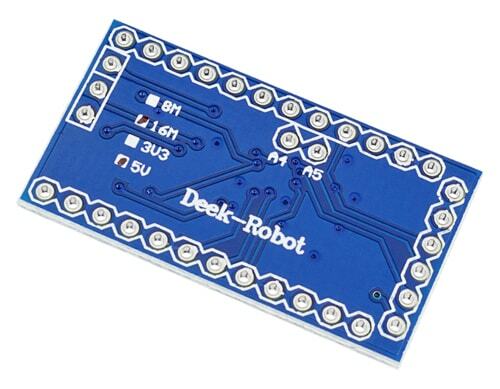 This board does not have a USB to UART/serial converter so you will need to use another Arduino or a USB to serial converter module such as our CP2102 serial module to flash this board. I was not able to program it without the other device I should have ordered.